In yoga, There are so many different – different Asanas. Padmasana is one of them. This is a simple and easy Asan to do. Doing any asana there is a lot of importance attached to being conscious and alert of what is being done. 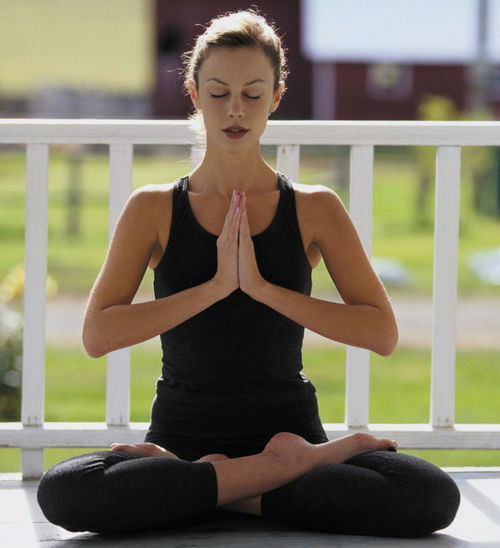 Relaxation and concentration play an important role in performing Yog Asanas. 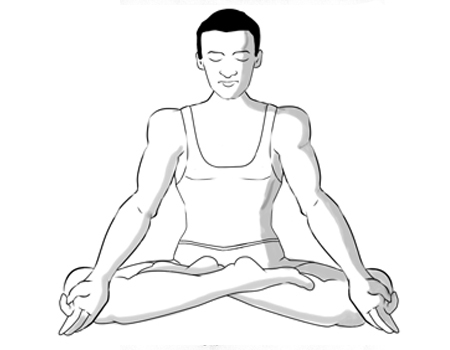 Padmasana is the easiest and suitable asana for contemplation and meditation. The word Padmasana is a Sanskrit word which means “lotus flower” so it’s also known as the “Lotus pose”. 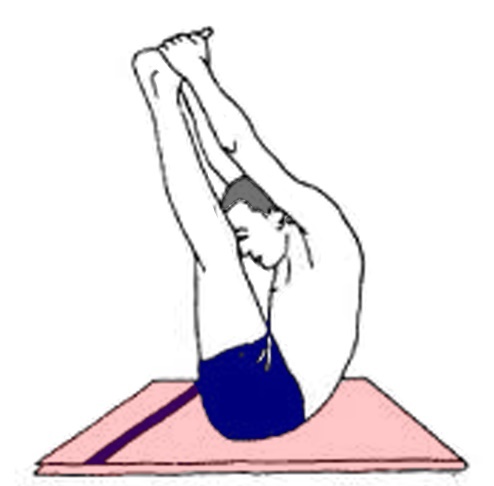 It is so called because of the lotus-like formation which made by our legs during this asana. Another name for Padmasana is “kamalasan” The word Kamal is a Hindi word which means a lotus flower. It is a yogic exercise in which one crosses the legs while maintaining a straight posture. It is an important position for meditation. While continues working in the office or workplace most of the people are sitting in the chairs for a long time. They don’t have a chance to sit folding the knees. Keeping legs in the same position is harmful if it’s not possible to do Padmasana in your office than trying to move your feet in a clockwise and anti-clockwise direction at regular interval for a few minutes. Office workers don’t sit in the chair continuously for a long time. At regular interval trying to stand up and walk for a minute. Padmasana provides a good workout, is good for your mind and breathing, conditions the body and core, and increases flexibility. If you want to build strength, muscles need to be challenged to their max and while yoga can be strenuous, it has its limits. Although using only your body weight can be challenging when you first start doing Padmasana and your muscles quickly adapt, so the benefits diminish over time. A regular practice of this posture aids in the overall blossoming of the practitioner, just like a lotus and hence the name Padmasana. Padamam means Lotus and Asana indicates the seat which in turn indicates sitting in a position without any movement. It’s very important to be alert and be conscious while doing any Asanas, and your mind must be relaxed and concentrate while practicing yoga. Sit on the floor and stretch your legs, your legs should be straight in front. Hold the right leg in both the hands, fold the legs slowly and place it on your left thigh. Ensure that your feet should touch your navel. Same like earlier fold the left knee, and hold it with both hands and place it on the right thigh close to the other. At this point your both knees should touch the floor and the foot should face upwardly. Your spinal cord should be straight at this point. If you feel some difficulty while sitting in the posture for a long time, you can change the legs and then sit in the same position. Your spinal cord should be erect, your both hands should be together or put the palms facing upside on the knee joints and the thumb must touch your index finger and the other fingers should face the upward. Breathing process should be slowly – slowly and deeply. ( Inhale and Exhale) and focus on your breathing. Do this asana for 2 to 3 minutes in the beginning stage, once you are used to it then increase the time by 15 to 30 minutes. Remember one most important thing don’t bend our body or head while doing this Asana. Padmasana is the highly preferred asanas by yoga practitioner in the beginning stage for increasing the focus of mind and concentration. It helps in improving the concentration power and it will calm the brain also. This Asana helps to preserve vital fluids in the body and prevents abdominal diseases and female disorders connected with the reproductive organs. Doing this Asana gives your mind peace, solitude, and longevity to the practitioner. It increases the hungry and helps to relax the body. It can also help in the stretches the ankle and knees. This Asana is the base for all asanas and it strengthens the hip and knee joints of the female and can get painless peaceful mind. You can reduce the unwanted fat of the hips and the thighs. This is the simplest and easiest asana which can practice by all the age group of men and women they can get benefits of Yoga Asana. 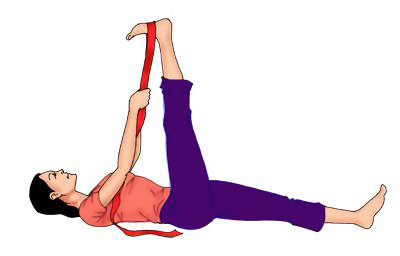 People who are suffering from an ankle injury should not practice this asana. 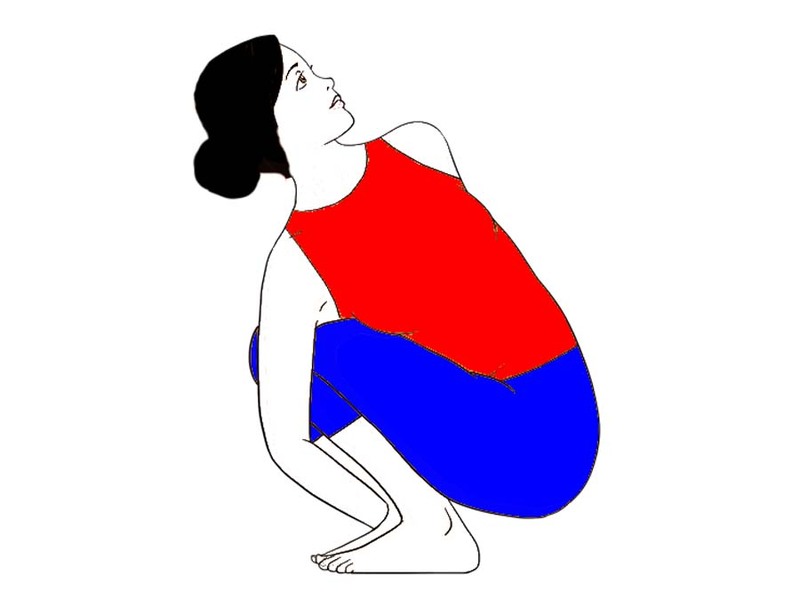 In case you have undergone a recent knee surgery please avoid this asana. 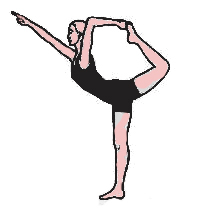 If you have a sprain in the leg, then our advice is not to do this asana. Don’t perform this if you suffering from severe back pain. Do all the Asana in under the Yoga instructor. Our goal is making your life healthy and happy, it’s our goal also. Please give some time to your health. And our advice performs Asana as much as you can but do in the right and proper way. Remember one basic thing “Health is wealth”, this is a simple statement but have a powerful impact on life. If you are healthy and fit you are able to do any work, if you are not healthy then it’s hard to do work properly. If you really want to become successful and happy than add the yoga to your lifestyle. Be healthy and be happy. So hard.. Still working on it! @Ankit Shaw, definitely you’ll do it. Hi, I’m surprised to see your site. You did a great job on this site. I love all exercise . And Thank you for sharing these information. Thank you a lot for this so magnificent webpage, permitting me to review methodically the what I must proceeding practise at my age. Should we titl forward to make your knees touch the floor? @Navdeep, Yes you can, move forward but try to touch your forehead to the ground. If you are uncomfortable in touching the forehead to the ground and move forward as much as you can. This will make you knees touch the ground. First attempt butterfly pose then attempt Padmasana for better results. Sit on the Padmasana and close your eyes and keep the spine erect.